A variety of sponsorship levels are available exclusively to CSIA members. Your support of the CSIA Executive Conference is crucial to the success of this event! Interested in enhancing your sponsorship? We’ve highlighted a few creative ways to maximize your sponsorship commitment and add that “wow” factor your company is looking for. Additional fees apply. CSIA package options available! Assemble an annual package that may include CSIA membership, Executive Conference participation, and Exchange publicity. We can even bill you for it all at once. Contact Jill Gabbert or at (847) 686-2322 to reserve your sponsorship opportunity today! CSIA brings the FUN! Approximately 100 participants are expected in the 2019 CSIA Fun Run/Walk along the Grove Park Inn’s beautiful Golf Course! If your company is looking for a unique way to enhance your sponsorship presence, or has a limited budget for supporting the Conference, consider sponsoring the 2019 CSIA Fun Run/Walk. For $500 your logo will be featured on the commemorative Fun Run/Walk participant shirt, in Fun Run/Walk promotions and on signage near the Fun Run/Walk registration area. Unlimited Fun Run/Walk sponsorship opportunities are available to CSIA members, pending shirt and signage production timeline. Promotional ad or video on the Conference website posted through the conclusion of the Conference. Sponsor is encouraged to plug their respective sponsored activity within the ad or video – e.g., “Join us at the CSIA Opening Toast,” etc. The CSIA 2019 Executive Conference will kick-off with a special one hour Opening Toast on Tuesday, April 30 at the Omni Grove Park Inn. Attendees will gather with friends new and old over cocktails and an interactive ice breaker. This highly-attended event is very customizable based on the sponsor’s needs, ensuring the sponsor receives extraordinary recognition. Attendees say year after year that the number one benefit of attending the annual Executive Conference is networking. The exclusive sponsor of this unique “lounge” area is guaranteed to drive traffic and provides a convenient space for attendees to have one-on-one meetings, to catch up on work or unwind. A handful of official CSIA events may also be held in the SI Community Café. Breakfast is offered to attendees before speaker presentations begin. The sponsor of the three scheduled breakfasts will receive special signage recognition. Breakfast is provided on Wednesday, May 1; Thursday, May 2; and Friday, May 3. Ad in one quarterly CSIA electronic newsletter. Ad must be placed by September 2019. One-time email blast to the all CSIA members. Sponsor to provide HTML content. Attendees will access the meeting program, general meeting information and session details via the mobile app on their smart phones, tablets or the web. The sponsor’s logo will be featured on the homepage of the app and is guaranteed to be seen by all users. Production included. Internet access in the meeting space will be available to conference attendees at Omni Grove Park Inn. Opportunities for sponsor recognition include featuring the sponsor’s logo on the Wi-Fi landing page, the option to customize access login credentials such as the username and/or password, etc. A number of highboy tables will be scattered in the highly trafficked areas around conference registration, break food and beverage areas and also the path that leads to the education session rooms. Adhesive graphics featuring the industry supporter’s corporate logo will be fixed to the highboy tables. Production included. Water stations will be conveniently placed throughout the main education and meal rooms. Each water station will feature the sponsor’s logo. Production included. All guests at the Omni Grove Park Inn will receive a custom branded hotel key card as they check in under the official CSIA hotel block. Sponsor this item and you’ll be “in the pocket” of every conference attendee! Production included. Meeting themed lanyards will be distributed to each attendee at registration. The sponsor’s logo will be featured on the lanyard and is sure to generate great exposure as participants are required to wear name badges throughout the duration of the conference. Production included. Sleek, meeting-branded notebooks featuring the Sponsor’s logo will be distributed to all participants. This is a high-usage sponsored item that will follow each attendee back to their home or office. Production included. Tossable Q&A Mics ($8,500) To amp up audience participation at the conference, we're ditching the hand-held audience mic for one that can be tossed and bounced from question to question in the general session and breakout rooms. A conversation starter for sure! The Catchbox mics will be branded with the sponsor’s corporate logo. Production included. Conference attendees are invited to attend this special dinner to honor CSIA award recipients on Thursday, May 2. The sponsor’s logo will be featured on the digital lectern during the dinner and on the custom printed menus at each place setting. Sponsors will also have a designated table to invite top costumers to dine with them. Two opportunities available. Attendees are invited to gather one last time for a final toast on Friday, May 3 for a casual beer and pretzel themed reception showcasing the variety of Asheville’s local brews. Opening Keynote: Alan Beaulieu of ITR Economics to address the current economic state and will also present the future economic outlook on Wednesday, May 1. Closing Keynote: Rick Pierro to discuss how to grow today’s companies on Friday, May 3. Prefer to sponsor a different topic? 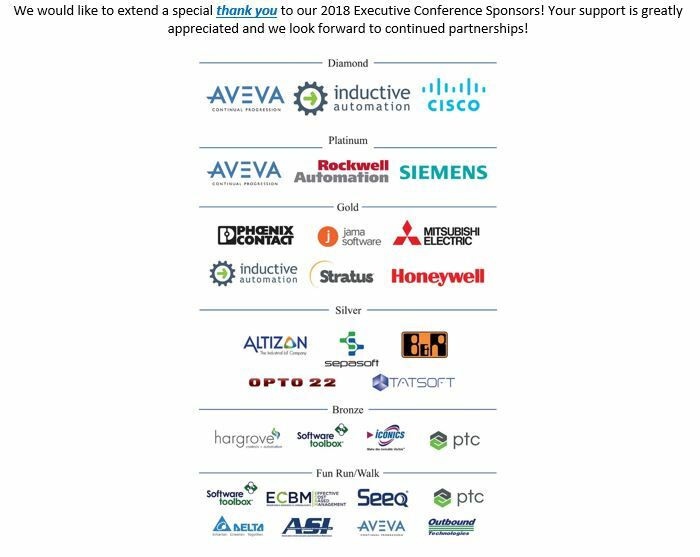 Visit https://www.controlsys.org/events/executive-conference for the complete lineup of speakers and descriptions. Several unique networking events are available for targeted attendee groups. The sponsor’s logo will be featured on the digital lectern or Sponsors will receive special signage recognition. Sponsor one of the following at the Silver Level or all three at the Gold Level. Attendees and their guests are invited to celebrate the 2018 award recipients at a cocktail reception prior to the awards dinner on Thursday, May 2. Sponsors will receive special signage recognition. Lunch breaks provide attendees an opportunity to meet with their peers, network or to simply relax. Sponsors will receive special signage recognition during their respective lunch. Thursday, May 2. In honor of CSIA’s global growth, attendees from outside the United States will be invited to participate in this special pre-reception to network with one another and with the CSIA leadership on Tuesday, April 30. The sponsor will receive special recognition during the reception. Sponsor will be given time to introduce highly renowned speaker, Jennifer Pharr Davis. The sponsor will receive special recognition introducing the speaker. Thank you to our Sponsors for the 2019 CSIA Fun Run/Walk! *Sponsors of the 2018 CSIA Executive Conference will have first right of refusal on any event or product that your organization sponsored last year. The first right of refusal deadline is Wednesday, December 12. Beginning Thursday, December 13, all remaining sponsor opportunities will be available to any CSIA member and sold on a first-come, first-served basis. Any NEW sponsorship opportunity in 2019 (e.g., charging stations and hotel suite upgrades, etc.) 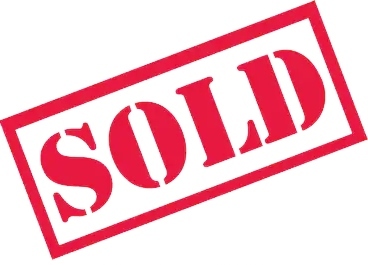 or opportunities from 2018 that were not sold are available immediately and sold on a first-come, first-served basis.